There are eight teams in the Flo50 poll competing in the Class A race. The top-ranked Falmouth Yachtsmen come in as the favorites to win its second straight title. Its duo of Connor Piers and John Auer have been incredibly strong all year, and should both contend for top 10 finishes. Alex Kinley has run great in the postseason. 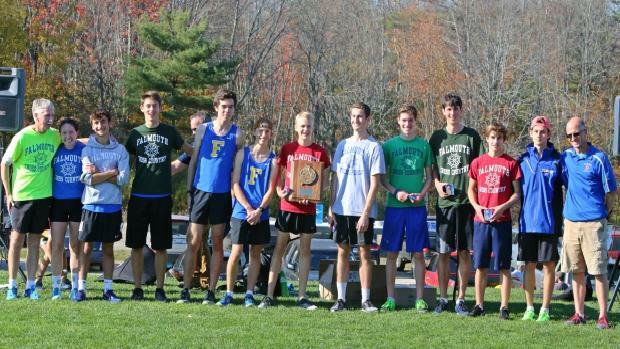 He finished ninth at the regional last weekend as Falmouth put three in the top 10, scoring 48 points, to beat Greely for the title. 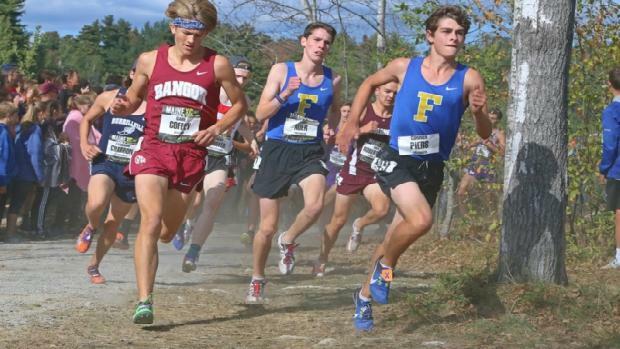 Their fourth and fifth runners, Charlie Henning and Jared Troubh, were both top 20 finishes, which gives Falmouth a truly complete team, making them the slight favorite. Second-ranked Greely is hoping to upend the Yachtsmen. Luke Marsanskis has given the Rangers a dependable runner who's capable of winning on Saturday. Matthew Todd was running with Marsanskis for most of the season, but was just eight at the regional. If he can hang with Marsanskis, Greely could have the advantage. Their 3-5 of Caleb Thurston, Adam Bruder and Sam Wilson is very strong -- they all finished in the top 20. Greely was only eight points behind Falmouth, so while the Yachtsmen are the favorite, don't be shocked to see the Rangers come out victorious. Deering was third last week behind Alec Troxell's individual title. 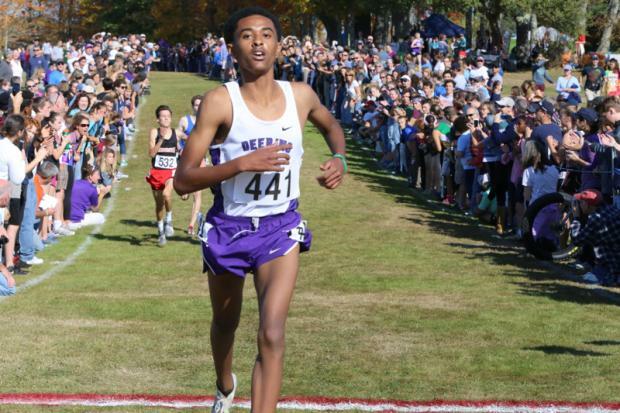 Yayha Nure was just seconds back in third, so Deering has two runners capable of winning. 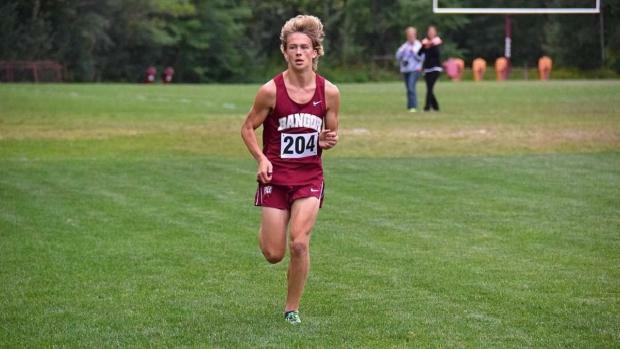 Jerry Mixangelo and Gannon Duckworth have been strong all year for the Rams, but they'll need a great race from Abdikadir Abdirahman to compete with Falmouth and Greely. 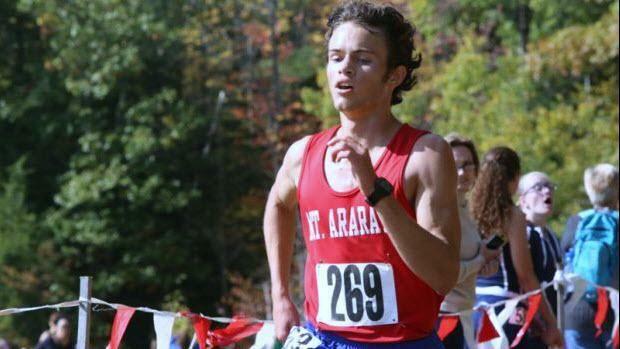 The Scarborough Red Storm should never be counted out in a Class A State championship, and they have two runners in Connor and Tristram Coffin who expect to challenge for top 10 finishes. Scarborough finished fourth in the regional without Harrison Osborne, who's been the Red Storms third runner. When you include Luke Grover, they have a very strong top four, but they need a great race from William Ducott. From the North, look for Hampden Academy and Bangor to challenge for top five finishes. Hampden won the regional behind Wyatt Lord's third place finish. The Broncos had four in the top 13 to score 52 points. Connor Glowa, Grahme Sokoloski and Jason Mathies give Hampden a strong 1-4, but they need a big race from Lucas Hale. Bangor finished second at the regional, and has a runner in Gabe Coffey who will challenge for the win. Its 2-4 of Patrick Fraser, Gordon Doore and Dwight Knightly had a 24 second spread at the regionals. They'll need to have another quick spread and a strong race from its fifth runner, Gavin Sychterz. Expecting a close finish? Look no further than the Class A boys race. When you look at the results from both the North and the South, you see as many as nine individual title candidates. The top six at the Southern Regional were separated by just six seconds, while in the North there was less parity with Mt. Ararat's Lisandro Berry-Gaviria taking over to win in a sub-16 time. 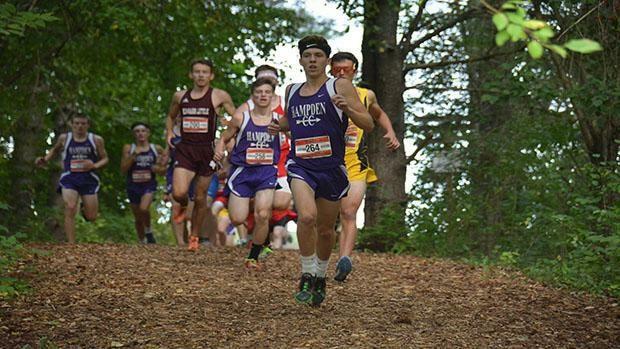 Can Deering's Alec Troxell replicate his win from last week? Will Berry-Gaviria continue his winning streak, or will Greely's Luke Marsanskis win on his home course? This is the race of the day. Below is the case for nine individuals who could win on Saturday. 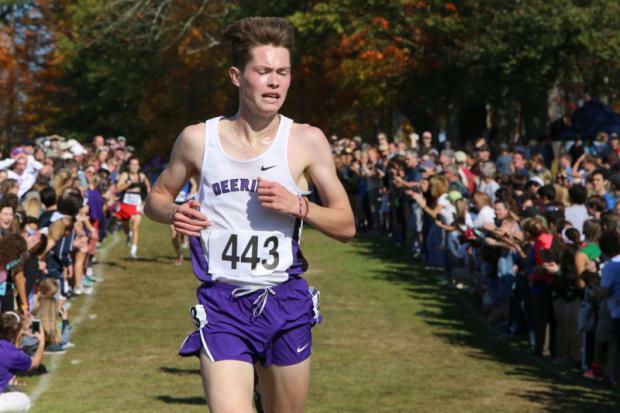 The case for Alec Troxell (Deering): As previously mentioned, Troxell took the Southern Regional title, pulling away from the field in the final stretch win in 16:51.44. He set a course record of 16:20 -- a personal-best -- on his home course back on October 6, and has three wins under his belt in 2017. He finished 20th at last year's state meet. The case for Lisandro Berry-Gaviria (Mt. Ararat): Berry-Gaviria knows how to win. He's won eight races in 2017 with his most impressive win coming at the Northern Regional last weekend, running a PB of 15:53.37. That time is the fastest in Class A this season. 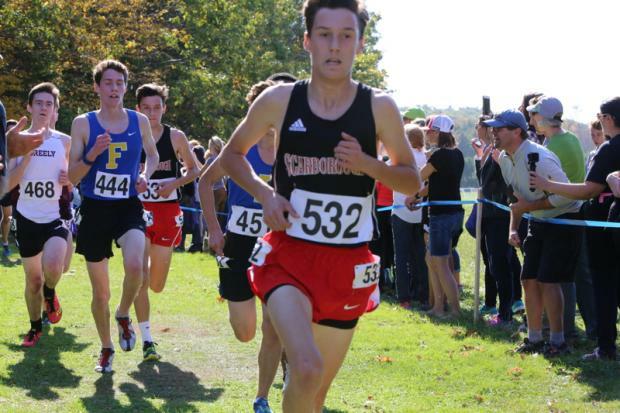 His other postseason win came at the KVAC Championships as he stopped the clock at 17:05 at Cony High School back on October 14. Berry-Gaviria finished 10th a year ago. 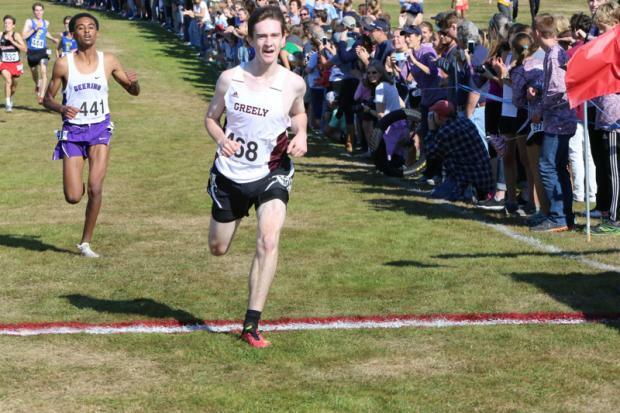 The case for Luke Marsanskis (Greely): Marsanskis was less than three seconds behind Troxell at the Southern Regional, running 16:53.99, and has a season-best of 16:11.93. His familiarity of the Twinbrook's course could be a big advantage over a runner like Berry-Gaviria, who has yet to race the course in his career. Marsanskis finished sixth in Class B last season. The case for Yahya Nure (Deering): Nure was less than a second behind Marsanskis in third, finishing in 16:54.79. He's gone under 17:00 in the 5k four times this season and comes into Saturday with a season-best of 16:23. Nure finished ninth in 2016. The case for Gabe Coffey (Bangor): Coffey was the runner-up to Berry-Gaviria at the regional, running a PB of 16:05.51. Finished second at the KVAC Championships in 17:16.10. He has yet to race at Twinbrook's but beat Marsanskis at Festival of Champions, finishing 12th in 16:08.93. The case for Falmouth's Connor Piers and John Auer: Piers was right behind Nure at the regional, finishing fourth in 16:57.37, while Auer was less than a second back in sixth, running 16:58.18. They both have plenty experience racing at Twinbrook's. Auer and Piers were the top two Class A finishers at Festival of Champions, finishing 7th (16:02.72) and 9th (16:03.88) respectively. Auer and Piers finished 11th and 12th, respectively, at last year's state meet. The case for Wyatt Lord (Hampden Academy): Lord finished third at the Northern Regional, running a season-best of 16:15.64. The last time Lord raced at Twinbrook's he finished 10th at the State Championships as a freshman back in 2015. Lord has run under 17:00 three times this season, and finished fifth at last year's meet.